Cast-in-place concrete is a common type of building material for commercial structures and residential homes alike. It involves pouring liquid concrete into removable forms and then dismantling the forms once the concrete has hardened to leave a solid wall behind. Cast-in-place concrete dates back to early experiments by Thomas Edison. Modern builders continue to gain from its benefits and work to overcome its drawbacks. Cast-in-place concrete results in large, solid forms. The primary benefit of cast-in-place concrete is its high level of strength. Cast-in-place concrete is appropriate for basement walls and home foundations. It is also relatively resistant to structural damage in the event of an earthquake, flood or other natural disaster. Builders can make cast-in-place concrete even stronger by using steel reinforcement bars, or rebar, which is inserted in the form before the concrete is poured in. One of the only real disadvantages to cast-in-place concrete is the high amount of labor it requires. Builders must first construct forms for the walls they plan to cast and then install the forms and mix the concrete. Pouring the concrete and waiting to remove the forms all take time that extends the length of a construction job and results in more hourly pay for work crews. Building basements with precast concrete blocks doesn't require forms and offers a less labor-intensive alternative. Another advantage of cast-in-place concrete is the high degree of insulation it provides. This includes thermal insulation, which keeps basements from taking on the cold temperatures and moisture from the earth around them. Cast-in-place concrete also insulates for sound, making homes quieter. Its insulation properties extend to insects, mold and mildew, none of which can penetrate cast-in-place concrete easily since there are no natural cracks or gaps between sections of building material. Cast-in-place concrete is highly versatile, meaning builders can use it for a variety of types of homes and buildings. Computer modeling programs allow builders to design highly precise, customizable forms. In other cases, builders can reuse standard forms for cast-in-place concrete basement walls. 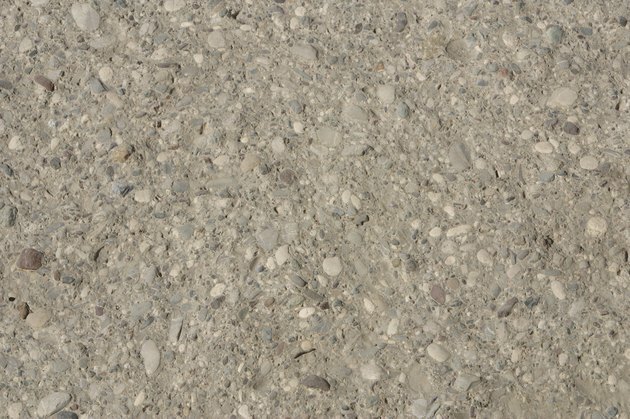 This versatility makes cast-in-place concrete appropriate both for modest homes and large, architecturally ambitious projects.